Lebanon’s army is to receive a $3 billion grant from Saudi Arabia. 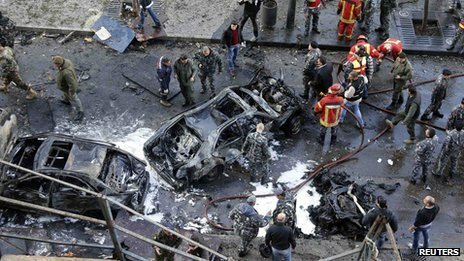 Lebanese President Michel Sleiman made the announcement in a televised address after the funeral of a senior Lebanese politician killed in a car bomb attack. He said it would help fight terrorism. “The king of the brotherly Kingdom of Saudi Arabia is offering this generous and appreciated aid of $3 billion to the Lebanese army to strengthen its capabilities,” Michel Sleiman said in his address. He said it was the largest assistance provided in Lebanon’s history and would be used to buy weapons from France. French President Francois Hollande said his country would “meet” any demands for weapons from Lebanon during a visit on Sunday to Saudi Arabia aimed at boosting commercial ties with the kingdom. “I am in touch with President Sleiman… If demands are made to us, we will meet them,” Francois Hollande said. President Michel Sleiman said the Saudi aid would finally allow the Lebanese army to “confront terrorism” and put an end to the proliferation of arms.